Violence erupts on the streets of Athens in response to the Greek parliament's approval of harsh austerity measures demanded by the EU and IMF. The financial crises that have gripped debt-ridden countries in the eurozone in the last year offer some excellent examples of the challenges and complexities of “two-level games.” A two-level game, as defined by political scientist Robert Putnam, refers to a common situation faced by political leaders when negotiating agreements such as trade deals with foreign states. To reach an acceptable agreement a leader must take into account the demands of actors at two levels: the domestic level and the international level. For example, in negotiating a trade deal with China, President Obama would need to try to balance the demands of China’s government with the demands of domestic actors such as Congress and business or labor interest groups. These demands restrict the set of acceptable outcomes at each level, and the final agreement must therefore be located within that window of overlap where both domestic and international actors would find an agreement acceptable. The absence of an overlapping set of acceptable options would ordinarily produce a negotiating failure (examples might include the Kyoto and International Criminal Court Treaties, which President Clinton favored but could not get the U.S. Senate to ratify). The theory of two-level games also highlights the fact that leaders can use constraints at one level to gain leverage at the second level. So Obama might tell China’s leaders that he can’t budge any further on trade concessions due to American business demands, or he might tell Congress this is the best deal they’re going to get from an intransigent Chinese leadership. What does all of this have to do with the eurozone financial crises? Debt-ridden countries such as Ireland, Portugal, and Greece have sought emergency loans from the European Union and the International Monetary Fund in order to stay afloat financially, but the EU and IMF have attached strict conditions to these loans. Recipient countries have been required to enact harsh austerity measures designed to correct the problems that necessitated the emergency bailouts. 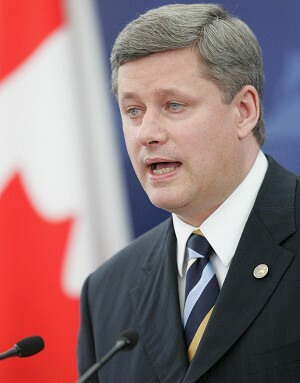 These unpopular measures include raising taxes, slashing welfare spending, and cutting government jobs and pensions. Leaders such as the Prime Ministers of Ireland and Greece have faced strong opposition to these internationally imposed demands from a range of domestic actors (the general public, interest groups, and some members of parliament). 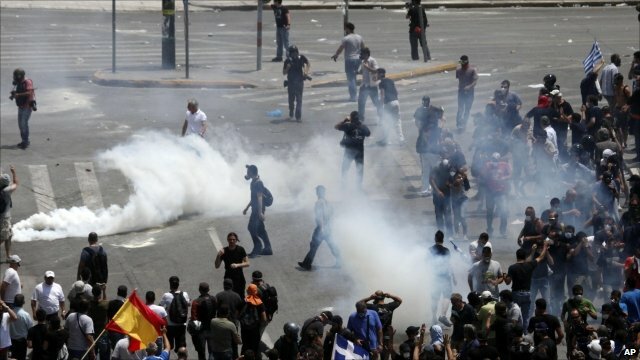 George Papandreou, the Greek Prime Minister, narrowly survived a no confidence vote in parliament on June 22, and violent protests have erupted in the streets of Athens in response to the proposed austerity measures. Papandreou succeeded in holding together enough domestic support to get these measures approved by parliament, although clashes between riot police and protesters escalated after the vote. But this isn’t the end of the story. As Foreign Policy blogger David Rothkopf notes in a post entitled “15 Things the Greek Austerity Vote Won’t Accomplish,” the parliament’s decision to approve the controversial measures “won’t guarantee that Greece sticks with the plan that’s approved. Riots in the streets illustrate that the people of Greece are deeply unhappy with what they perceive as a foreign-imposed squeeze. They can force a political reversal that leads to a policy reversal.” In other words, round one of this two-level game may have been won by actors at the international level, but the game continues…and domestic actors in Greece, Portugal, and elsewhere may yet be able to exert sufficient pressure on their leaders to change the game decisively in their favor.